But this pizza dough is really one of the best I’ve ever tried! One was topped with tomato sauce (quickly pre cooked with garlic and olive oil), Italian sausages (100% pork meat) and mozzarella, added only the last 3 minutes. 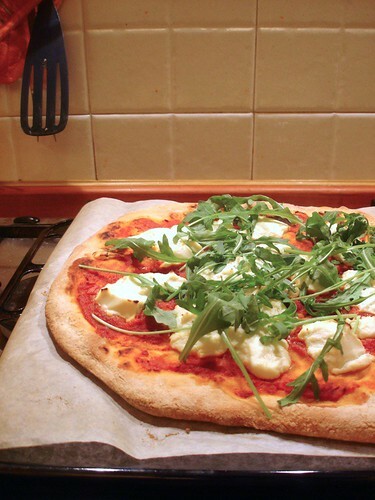 The other was always with the same tomato sauce, ricotta and arugula, added once out of the oven. Check out all the other Daring Bakers! Era veramente una pizza buonissima. 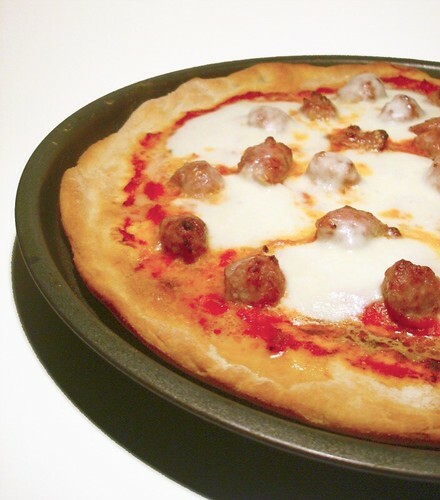 I’m so glad that you approved of the pizza dough because obviously Italians know best! I’m usually a thick crust kind of gal, but I’m loving this pizza! I used to make pizza dough when my girls were kids .. some time ago I must say. I have not had pizza for a long time (except when I visit Napoli, Italy), and I confess that yours looks very tempting! 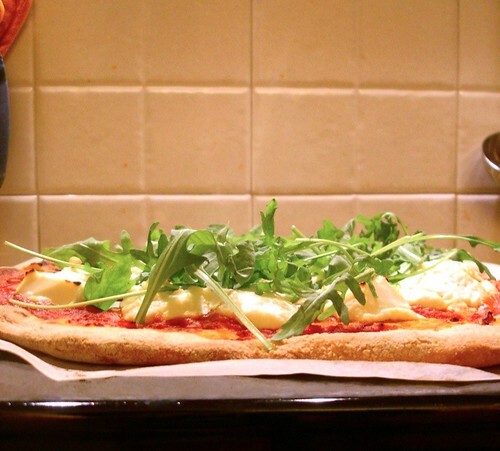 Arugula makes everything so special. This pizza looks fabulous. I’ll have to get into making my own dough — my own pizzas, for that matter!